If you look good maybe you can see Dubya eating a bag of pretzels. Because as Americans we have to continue our normal lives, or else the pretzels win. 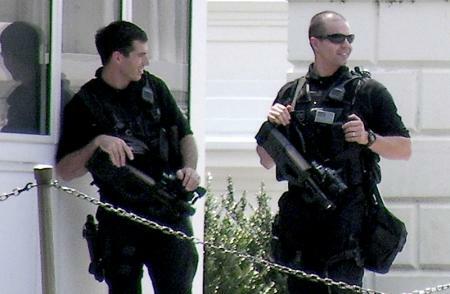 These guys are near the entrance to the White House, looks like they have some kind of Halo 3 hardware. *update* Okay, it looks like they have FN P90 assault rifles. The Lincoln Memorial beyond the Reflecting Pool in DC. The Capitol building from the National Mall. 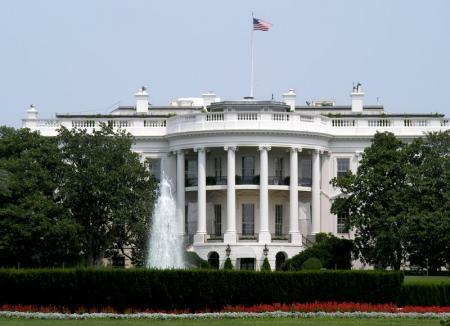 They’re working on the top of it with some scafolding. 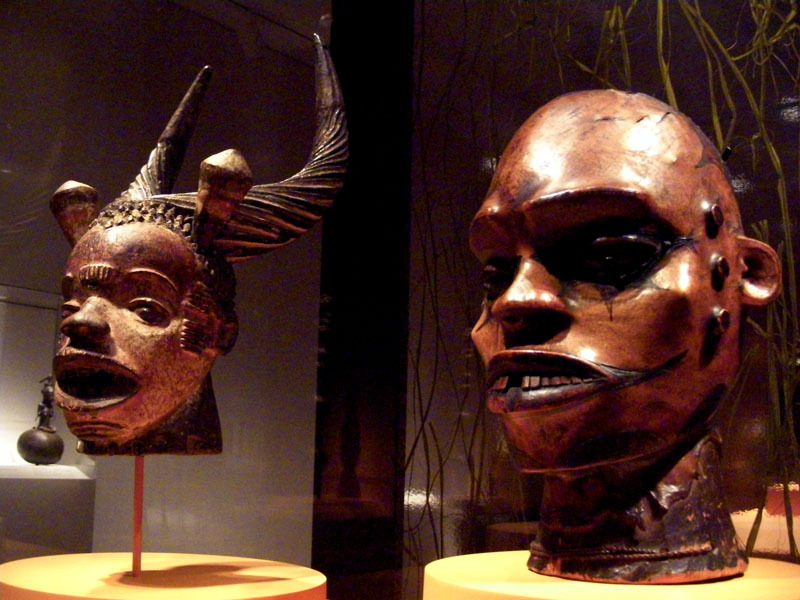 The National Museum of African Art is a very cool place to visit and part of the Smithsonian Museums. The one bummer about the descriptions with the art pieces is they only say ‘wood’ when describing the artwork material, or ‘wood and iron.’ Why don’t they say what kind of wood is being used? I wrote a comment and stuck it in the comment box, I’m sure they could figure out what kind of material is being used. And if you’re an aviation buff visiting the National Air and Space Museum is a must visit. 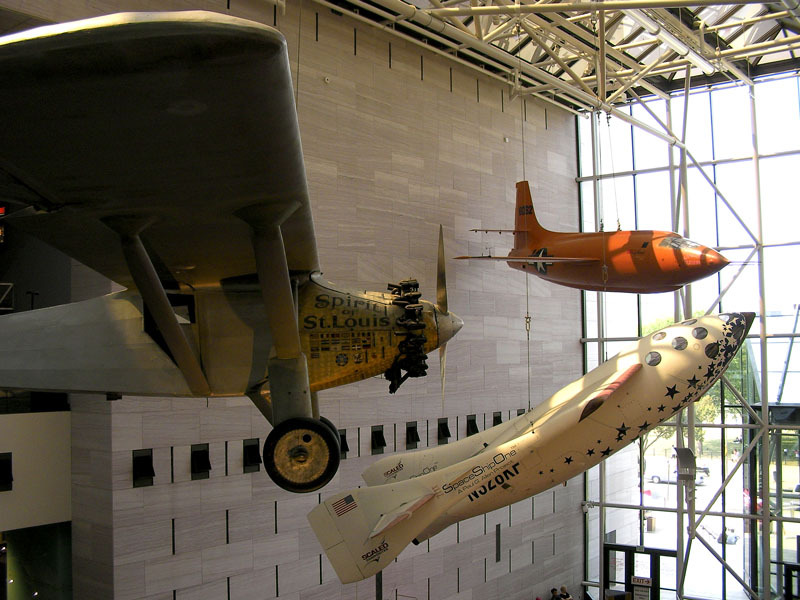 Here the Spirit of St. Louis, SpaceShip One (by Burt Rutan) and the X-1 rocket plane hang from the ceiling. Lots of stuff to see here, Apollo 11 capsule (and a bunch of other Apollo stuff) along with lots of real planes. Seeing the space shuttle launch in Florida then all this stuff was a treat as I grew-up in the space race age. The L.E.M. 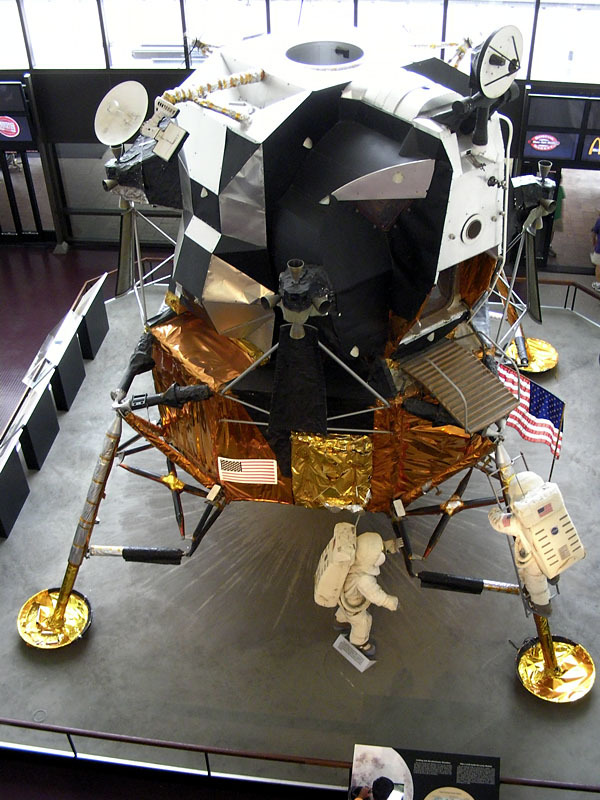 (Lunar Excursion Module). 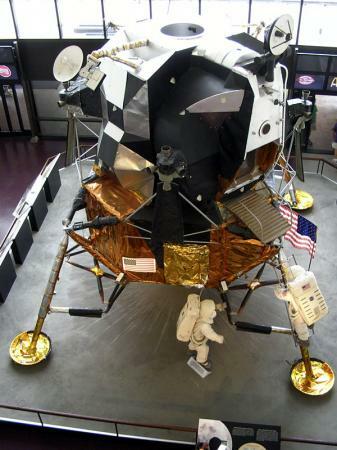 This is the the thing that landed on the moon, it also had some lifeboat duties for Apollo 13. We once interviewd a guy at North Hawaii News that said he worked on the maneuvering rockets for the L.E.M. He said a typical day at work was to take the rocket motor to a test area, fire it then carry away the pieces and figure out why it blew-up. He claims the design is one of the most efficient rocket engines ever built. You can see the nozzles for the engine he designed about halfway up the L.E.M. above the astronaut. 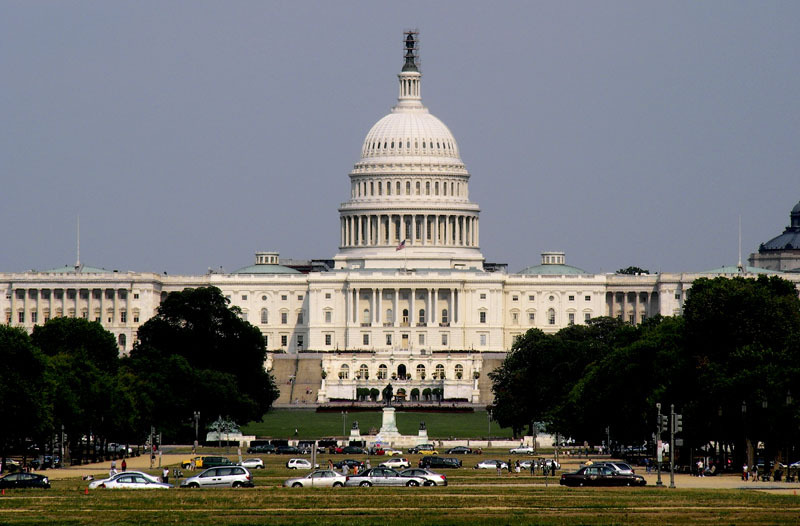 It was a beautiful day to walk around DC, clear and sunny but with a cooling breeze. But the late afternoon sun heated everything up a bit though nothing like the heatwave images shown on CNN a few weeks ago. Fascinating! 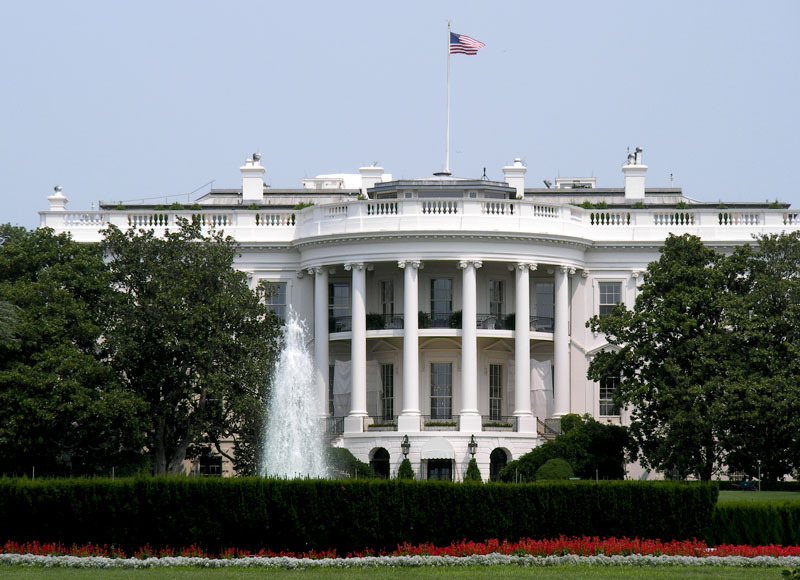 I'd love to spend some time in D.C. checking all that stuff out. I went once, but it was only for a day. I have been to the Airforce Museum in Dayton, Ohio. I saw one of the Apollo capsules there.